One night at our weekly gathering at Marketplace Mondays, God released some mighty prophetic words over His workplace warriors. And it got me reflecting. Just as Jesus often taught parables with a theme, "the kingdom of heaven is like...," I asked, "What is Marketplace Mondays like?" How to walk in "a demonstration of Spirit and power" (1 Cor. 2:4-5) within our unique "market-place" be it business, education, media and communication, arts and entertainment, or government. 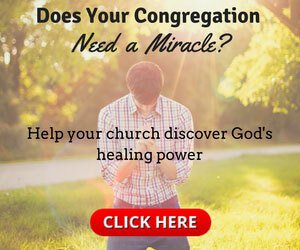 When I finally got home after a powerful lesson on Spirit-led planning and phenomenal intercessory prayer, it dawned on me (another prophetic download) that our weekly connection hubs are like prophetic popcorn. And so is anyone's grow process in the Lord. Envision you are about to cook popcorn the wonderful "old fashioned way"—on top of a stove—rather than cheating with nasty-tasting microwave popcorn. Here is the step-by-step popcorn cooking process. Vision: Believing your harvest will fill a big pot (1 Cor. 2:9). Container: Choosing a cooking container strong enough to handle extreme heat and a large harvest (Num. 4:16). Oil: Coat the inside of the cooking container with [extra virgin] olive oil (Lev. 8:12). Seeds: Add popcorn seeds into the container (Mark 4:31). Shake: Thoroughly cover and coat the seeds with the oil (Luke 6:38 ). Heat: Turn up the heat until the oil bubbles (Ps. 19:6). Wait: Wait with patience until the oil completes its intended purpose—to literally transform the seeds from the inside out (Ps. 27:14). One Pop: One seed pops (Rom. 8:19). Two Pops: Pop-pop; many seeds begin to pop (Mark 4:29). New Container: Pour the harvest into a very large bowl (Luke 5:5-7). Salt: Add a pinch of salt for flavor and prophetic preservative (Mark 9:49-50). Enjoy the Harvest: Eat and share in the overflowing prosperity of God's gift (Ps. 35:27). Cool Down and Clean: Allow the container to cool down and be cleaned (Luke 5:2) for the next prophetic serving. Whatever step you are in this process, know that, just like this prophetic picture, your harvest will come. Would you like to walk along with other marketplace impacters as we press into overflowing bowls of harvest? Then I extend my personal invitation for you to join us every Monday night at 7:30PM CDT as we Facebook livestream our weekly teachings from the Pensacola House of Prayer. Also visit our Marketplace Mondays Facebook page to watch videos from dozens of previous teaching sessions. We welcome you to share this information with any other friends or colleagues as we continue to unleash Kingdom power at work. 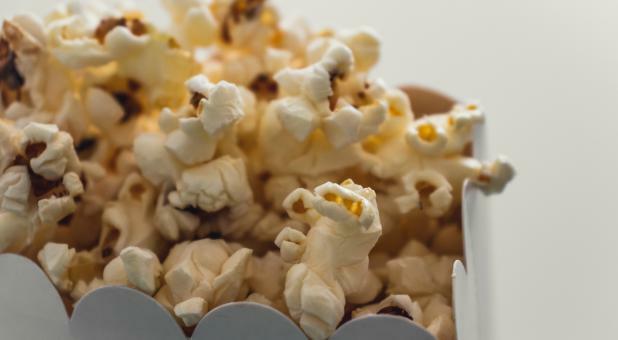 At what step are you currently in your "prophetic popcorn process?" I am now in the "Two Pops" phase. It has taken years to get here, but hang with me—you are about to see, in the very near future, the heavenly sounds and global release of His prophetic (popcorn) overflow! Anybody want to share a bowl of "prophetic popcorn" with me? Dr. Jim Harris is an executive coach, adviser and author of 14 award-winning business books. Download his FREE 31 Power Prayers to Prosper Your Business. Connect with Dr. Jim on Facebook LinkedIn, and Twitter.